A few pictures of the building windows combined together. Taken in Rotterdam, in July 2012. 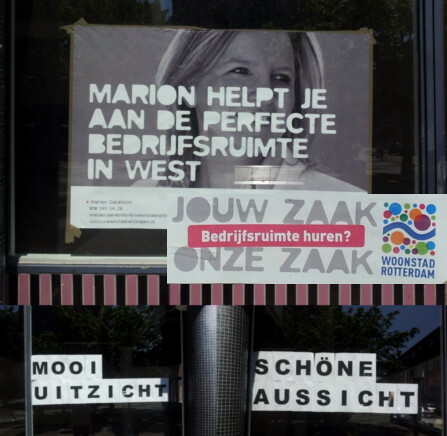 Marion helpt je aan de perfecte bedrijfsruimte in west. Marion helps you with the perfect business premises (commercial property?) in west. German “aussicht” (on the right) and Dutch “uitzicht” (on the left) are really similar. This entry was posted in Images / Afbeeldingen. Bookmark the permalink.